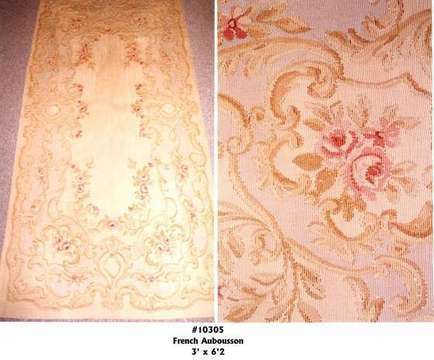 Aubusson rugs woven in Aubusson were at first based on Persian models when a center of French carpet production began in the mid 17th century. 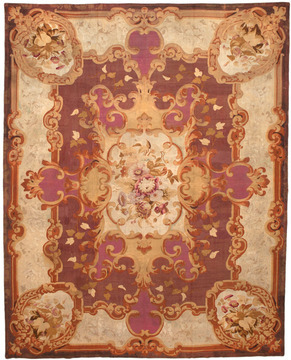 From the mid 19th century, Aubusson rug designs began competing with those of the English. 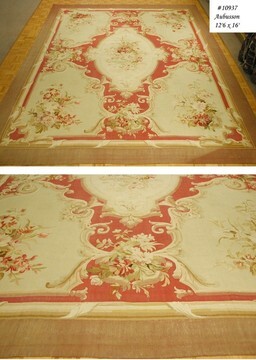 These flat woven wool carpets were created mainly for the sophisticated wealthy European client. 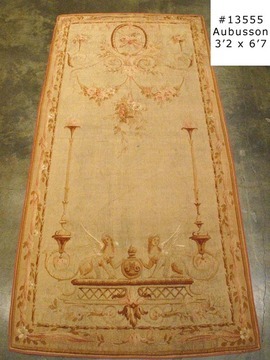 The Savonnerie carpets from their creation were woven by the royal manufacturer for Louis XIV to Louis XVI. 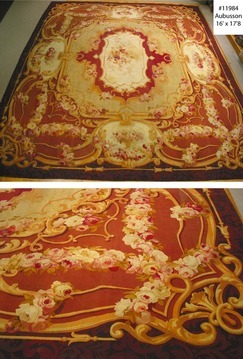 Only the king was able to own or rarely sell a Savonnerie carpet, leading to the development of the Aubusson. 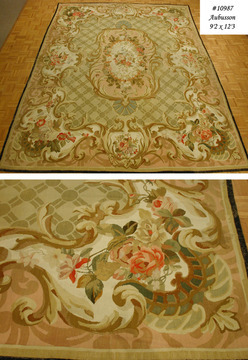 These flat woven carpets emulated the designs of the Savonnerie carpets. This lead to its vast popularity with the wealthy European community. 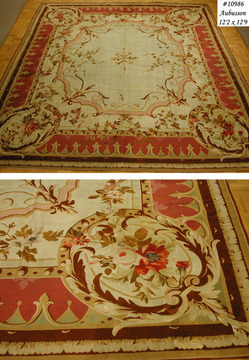 Aubusson rugs graced the floors throughout all of Europe in the 17th and the 18th century. 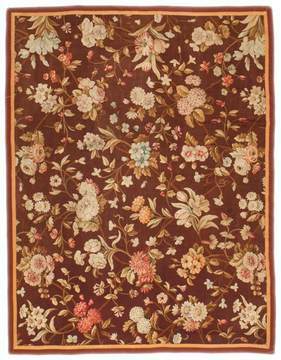 Savonnerie workshops were founded in Paris in 1628 and their output of weavings was for royal palaces, state gifts and important commissions. 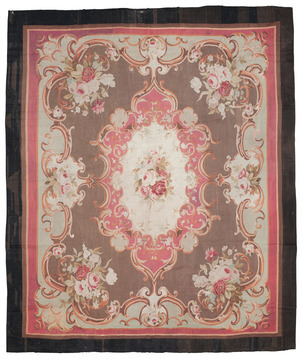 Designs created by court artists included floral arrangements, military and heraldic references and architectural motifs. 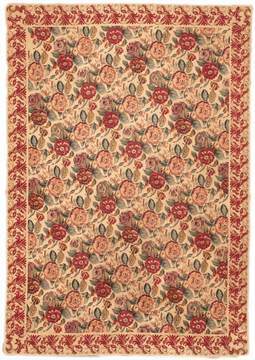 Warps were made out of linen and the woolen pile was woven using the symmetrical knots. 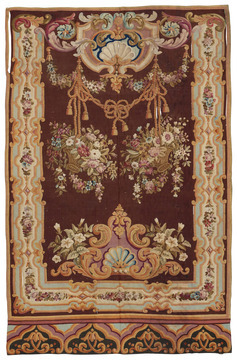 The greatest period of Savonnerie rug production was between 1650 - 1789. 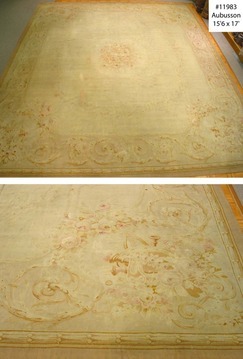 Today, most 17th and 18th century Savonnerie rugs are found only in some of the world's greatest museums. 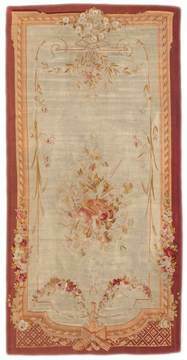 Our gallery includes a fine collection of 19th century Aubussons and Savonneries that will take your breath away and are truly fit for royalty.